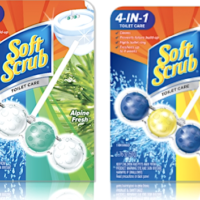 Looks like we have a hot new printable coupon valid for Buy 1 Get 1 FREE Soft Scrub Toilet Care Product – up to $3.99 value! Stack this coupon with a sale on any of these products for the best possible savings. Walmart sells these for $1.98, so pay just $.99 each after coupon. Print it while you can!